Choose from 3 hotels and guest houses in Dundee and Angus. Shown below a just a selection of the hotels available. To search within an area please use the menu on the right. Abertay Guest House - This friendly, family-run guest house with free private parking is convenient for the town centre, beaches and transport. The city of Dundee is approximately 5 miles (8 km) away and is easily reached by bus. Many famous golf courses are within 10 to 20 minutes' drive and a secure lock-up facility for clubs is available. Abertay Guest House has a wireless internet connection and in-house office facilities. There is a full breakfast menu and a set dinner menu on request. Marlee Guest House - At Marlee Guest House, guests get free Wi-Fi, free parking and superb full breakfasts, including pancakes with fresh fruit. Broughty Ferry Rail Station, with its buses to Dundee, is nearby. 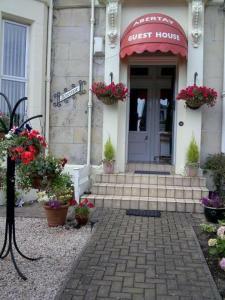 Marlee Guest House is close to the centre of Broughty Ferry, 300 metres from the Esplanade. 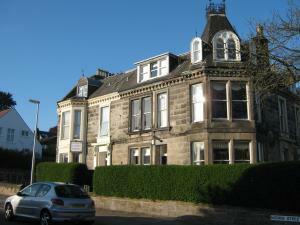 It is 600 metres from the train station, with Dundee Central Station 4.5 miles (7 km) away. There are 3 comfortable rooms on the 1st floor and 3 on the 2nd floor. The rooms are either en suite or with a separate private bathroom. Staff speak French, German, Italian, Romanian, Russian, Serbian, Spanish and others. Marlee Guest House can arrange golf lessons, clay-pigeon shooting and various tours. Top-quality golf courses are nearby (Monifieth, 2.5 miles / 4 km; Carnoustie, 6 miles / 9.5 km). Vicarsford lodge Guest House - A warm friendly atmosphere awaits you in this comfortable and spacious period home. Please note that the Vicarsford Lodge guest house is located 7 miles from St Andrews. The unique location of Vicarsford Lodge will ensure a picturesque stay. The Lodge is situated in an area literally surrounded by a number of nearby golf courses and peaceful beaches. You will find it very cosy in the winter months with the armchairs, sofas and log burning stove in the comfortable lounge. Alternatively, in fine weather you can relax and watch the world go by in the garden or glass sun lounge. Parking is available for guests, so bring the car and explore the nearby delights of St. Andrews and Dundee.